Hi, everybody! It’s time for a new Lawnscaping challenge (#108)! Since we celebrated Flag Day yesterday here in the U.S., and the July 4th Independence Day holiday is right around the corner, we’re inspiring you to use stars and/or stripes on your challenge entry! 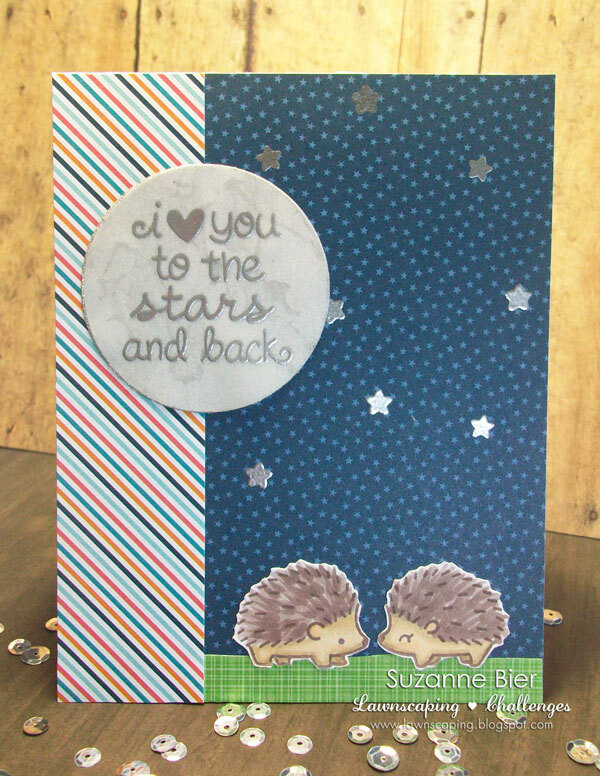 I made this sweet little love-themed card with some papers from Lawn Fawn’s Beachside petite paper pad and the hedgehogs from the mini “Hedgehugs” clear set. The stars and the sentiment are from the “Lucky Stars” stamp set. I made the moon by layering a sheet of vellum that I used to emboss the sentiment over a die cut circle of glittered paper. The marbling that you see is because the adhesive I used didn’t stick so well to the glittered paper. It still makes for an interesting effect, though! 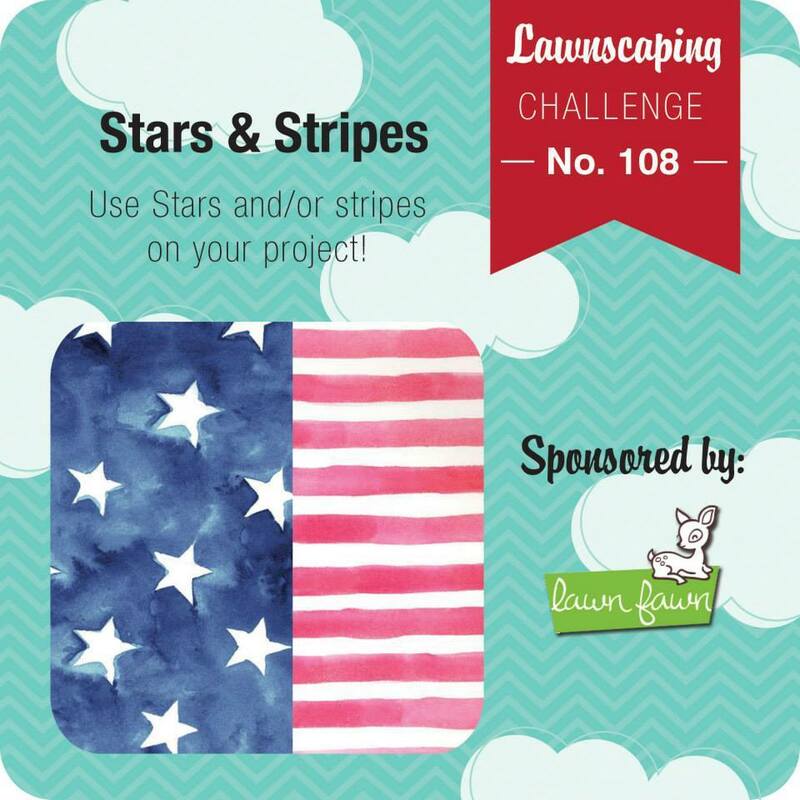 Lawnscaping Challenge #108 is sponsored by Lawn Fawn! One lucky winner will receive a gift certificate to the Lawn Fawn store! Thanks so much for stopping by today! Make sure you get all the details on this challenge and link up your entry for Lawnscaping Challenge #108 at the Lawnscaping blog!